Tents, sun shades, and canopies could generate renewable energy with Norway-based Tarpon Solar‘s photovoltaic canvas. The company’s flexible tarpaulins are topped with bendy solar cells from Swedish company Midsummer. 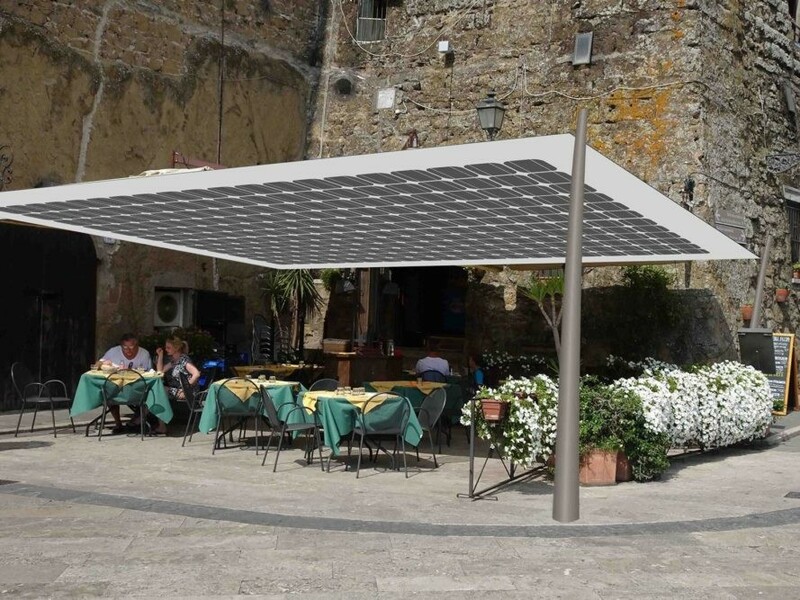 Tarpon Solar laminated solar cells onto a flexible canvas to create a product with numerous potential applications – shade for a restaurant patio, a swimming pool covering, or canopies in refugee camps are just a few of the possibilities. The company says the canvas can also be included in a passive home design. The product could even open up the possibility of solar power generation in places where traditional solar panels couldn’t easily be deployed, according to Tarpon Solar’s website. Tarpon Solar utilized Midsummer’s solar cells in a product that recently won first place in the MTI Technology Award competition. The CIGS cells, or copper-indium-gallium-selenium, are made without cadmium, a toxic material Midsummer says is often used in CIGS or thin film solar cells. They listed the benefits of CIGS cells as having high efficiency, low weight, durability, and flexibility.